Our highest pressure Nanovolume® fittings are constructed of UHPLC grade stainless steel, including stainless steel nut and ferrule. 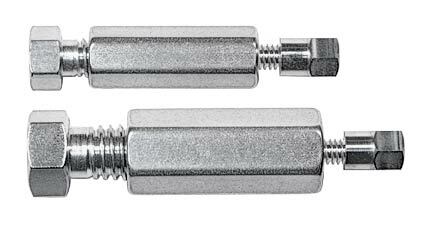 These fittings are optimized for use with stainless or electroformed nickel tubing. Tees and crosses (right) have a tapped 3/8" boss, so they can be mounted with a 6/40 screw. 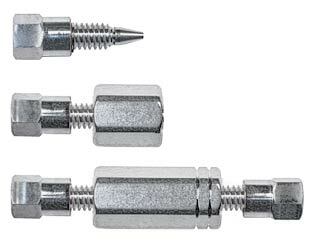 The manual tightening tool at the bottom of the product table is recommended for installing 360 micron fittings, which are easily overtightened when a standard wrench is used.